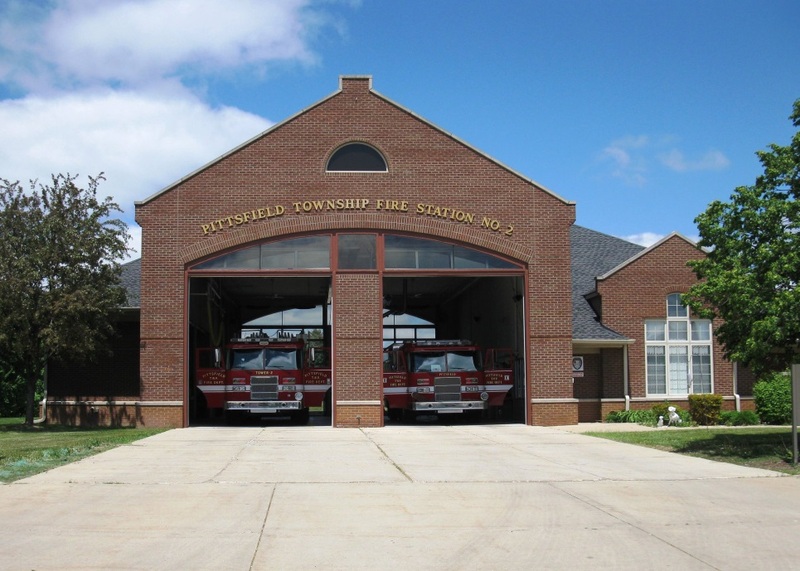 The three Pittsfield Township Fire Stations are staffed daily with a Captain, two Lieutenants, and five fire fighters. 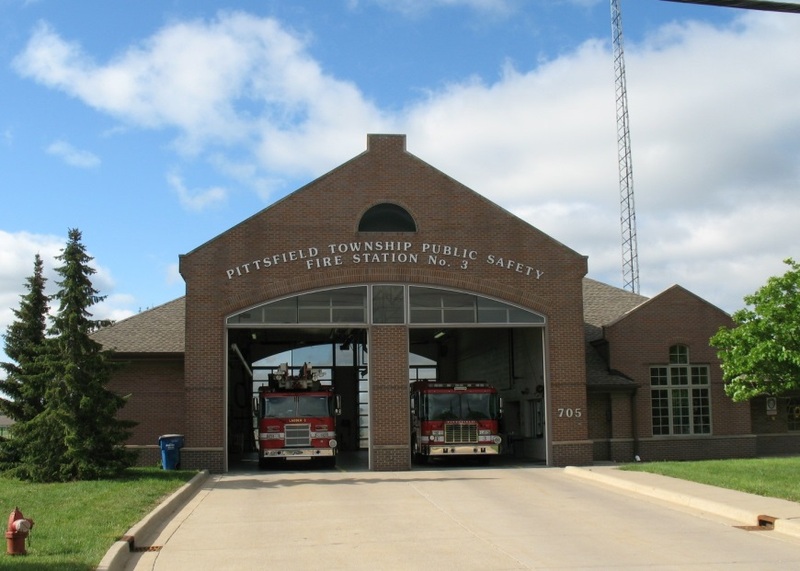 The Department’s daily staffing level is currently maintained at a minimum of six personnel. Station 1 - 6227 W. Michigan Ave.
Engine 1 is a 2016. Engine 1 carries 500 gallons of water and 1600’ of 5” supply hose. It can flow water at a rate of 1500 gallons per minute. This engine is capable of carrying 3 firefighters and a D/O (Driver/Operator). It also carries extrication equipment for vehicle crashes. Tanker 1 is 1986 Four Guys manufactured tanker. It was refurbished in 2000 at a cost of approximately $80,000. It has the capability of carrying 3000 gallons of water and pumping at a rate of 1500 gallons per minute. This truck carries 1200’ of 4” supply line. 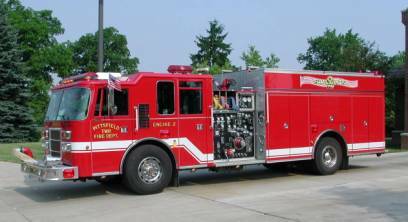 It is capable of carrying 5 firefighters and a D/O (driver/operator). It is first due at all structure fires in rural areas. 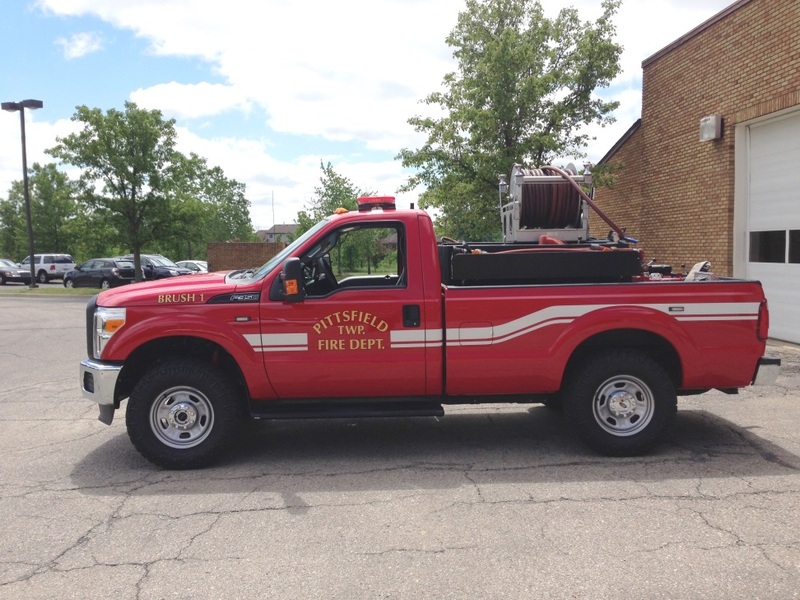 Brush 1 is a 2012 Ford 4X4 with a 300 GPM pump and 300 gal tank. This unit primarily is used for grass and brush fires. Brush 1 is used also for standing by at the scene of downed power lines to keep structure fire apparatus in service. 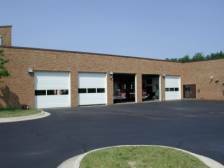 Engine 11 is primarily a reserve engine used when other apparatus is down for repair. It was refurbished in 2012 for an approximate cost of $60.000 to extend its service life. Engine 11 is a 1998 Pierce Dash has a 500 gal. water tank and is capable of flowing 1500 gallons per minute of water. It carries a set of extrication equipment (jaws of life) and vehicle stabilization equipment. It seats 5 firefighters and 1 D/O (driver/operator). Gator 1 is a 2004 John Deere 4WD HPX utility vehicle. It has a skid unit for fire suppression and a skid unit for medicals. The skid units slide into the rear box of the Gator. Gator 1 is used for Fire and EMS emergencies in the parks and in areas not accessible by conventional apparatus. 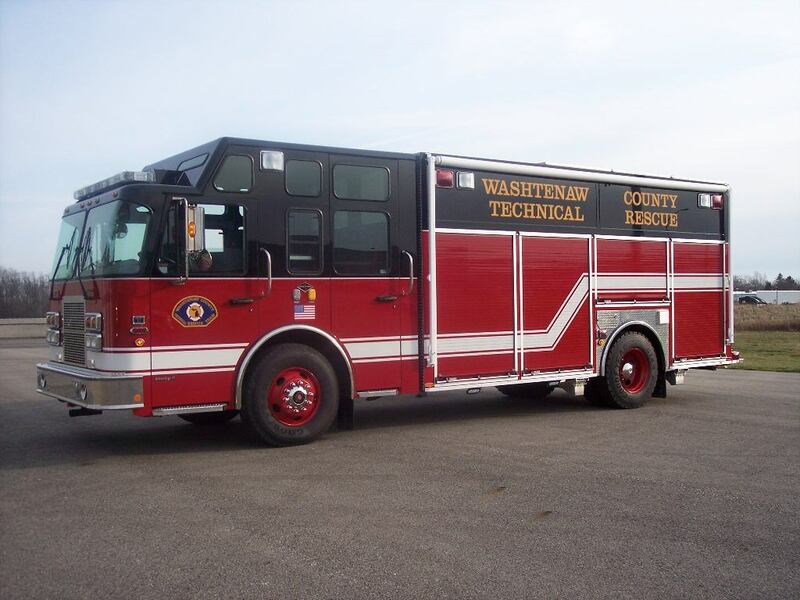 Also housed at Station 1 is the Washtenaw County Technical Rescue Team's Truck, Rescue 17-1. 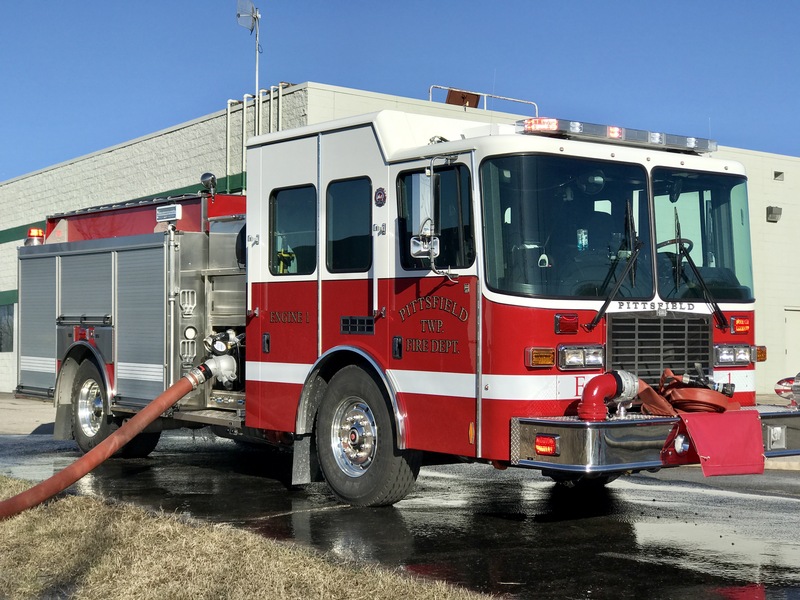 The Washtenaw Area Mutual Aid Association approved the consolidation of area fire department technical rescue teams in order to create a more effective response system to respond to incidents beyond the capabilities of local jurisdictions. The combined resources became known as the Washtenaw County Technical Rescue Team. The team is currently trained and equipped to provide the following services - Elevation Rescues – Above and Below Grade, Rescues involving Trench Collapse, Structural Collapse, Confined Spaces, Surface Water, Vehicles, Machinery, Agricultural. Station 2 - 4345 Ellsworth Rd. Tower 2 is a 2005 Pierce Tower Ladder. It carries 300 gallons of water and is capable of flowing 2000 gallons of water per minute. It also carries 1000 feet of 5” diameter hose. It can carry 5 firefighters and a D/O (driver/operator). It responds to all reported structure fires in urban areas and fire alarms. 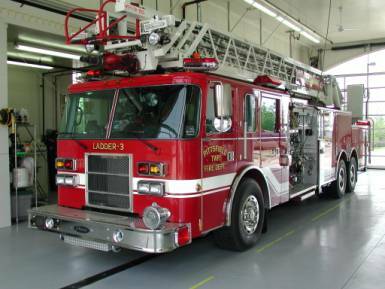 Engine 2 is a 2013 Rosenbauer and has a 750 gal water tank and is capable of flowing 2000 gallons per minute of water. It carries a set of extrication equipment (jaws of life) and vehicle stabilization equipment. 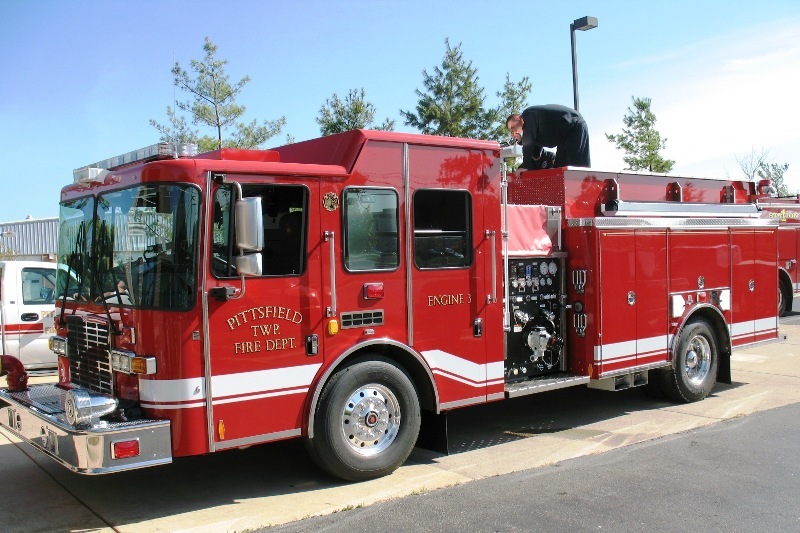 It carries 35 gallons of foam used in the extinguishment of flammable liquid fires. It seats 3 firefighters and 1 D/O (driver/operator). 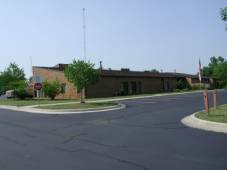 Station 3 - 705 W. Ellsworth Rd. 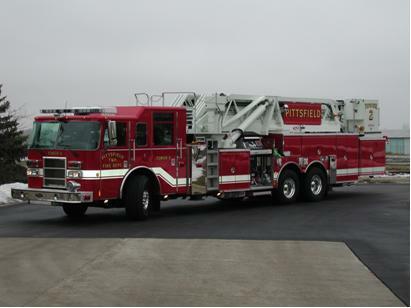 This is a 1999 Pierce 105' aerial ladder. This truck carries 300 gallons of water and is capable of flowing water at 2000 gallons of water per minute. It carries 1000’ of 5” supply hose. It seats 5 firefighters and 1 D/O (driver/operator). This unit is first due on all structure fire incidents. 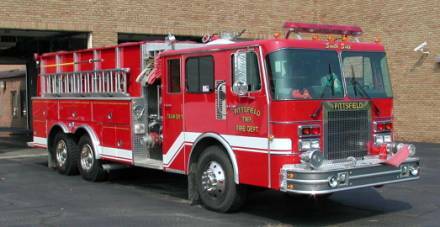 Engine 3 is a HME and has a 750 gal water tank and is capable of flowing 2000 gallons per minute of water. It carries a set of extrication equipment and vehicle stabilization equipment. It also carries 35 gallons of foam used in the extinguishment of flammable liquid fires. It seats 3 firefighters and 1 D/O (driver/operator).